Sitel India Career Job Notification 2017-2018, Associate/Sr Associate for Any Graduate, Freshers, Experience, Job in Mumbai - Apply Online. Sitel India Application Link, Sitel India Salary, Sitel India Last Date Sitel India Walk-in Date, Time, Venue etc. Scroll Down. 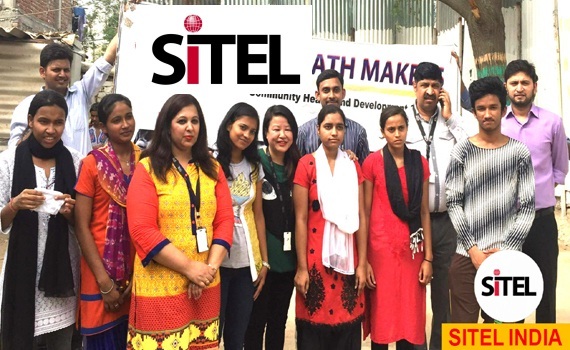 Very Urgent Hiring Direct Joining @ Sitel India Walk-in || Any Graduate - Apply Now. Salary: Rs: 50,000 - 1,50,000 P.A. Sitel believes that great customer experiences are powered by people who love what they do and where they work. By putting people first, we deliver great experiences every day. Our vast, diverse workforce serves over 50 countries, whilst sharing one common passion – to make every customer experience memorable. Wherever they are, our dedicated people always speak the right language, so building trust and getting closer to your customers comes naturally. Sales skill with good hold on English. - Basic knowledge of computer. Chandivali, Andheri East, Mumbai 72.